AKA has hit the dirt with some new chain-link tread tires. Following the success of their pre-mounted version, they're now offering them as standard tires with foams for 2.2" standard buggy wheels. AKA inserts are the best made in my opinion the soft inserts are just the right softness work really well truck lands and jumps better more stable in a strait line over all excellent insert, thanks AKA and ATEES for supplying them ! The quality is very good. I am very happy with the product. AKA features World-Class products by World Champions. 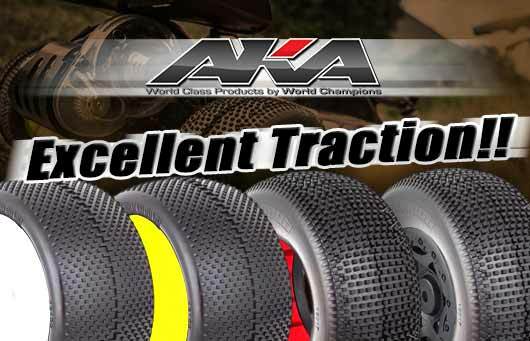 AKA was made to create some of the most popular off-road racing tires in the game. 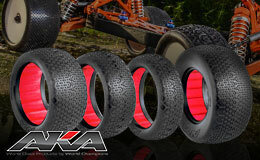 AKA's tire design is innovative and constantly changing, providing the best experience for racers who use their products. Their products ensure the best quality, consistency, and value for their customers. 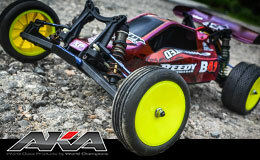 If you need performance in your off-road racing needs, AKA is a name that you need to look at.